Paul Hembery: "The way that the track temperature falls in Abu Dhabi obviously has an effect on both wear and degradation, meaning that teams are able to do longer runs even on the softer compound later in the race. There are some important implications for strategy here, which means that it's often possible to try something different in Abu Dhabi than you would in other places, which might well pay off at the end of the race. As a company, Abu Dhabi is a circuit that we know very well because it's where we did some testing before we started in Formula One. 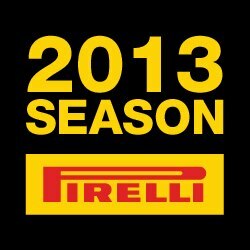 It's also where the Formula One teams got to sample our tyres for the first time, back at the end of 2010. When it comes to the actual venue, Yas Marina is one of the most modern and spectacular circuits of the year with a number of different technical challenges that test most aspects of a tyre's overall performance. Tyre wear and degradation isn't especially high here: last year, when we also nominated the medium and soft, most drivers just stopped once. As the compounds are generally softer this year we'd expect two stops this time, although it's quite possible that some teams might try just one. We will have to wait for the Friday running until we have a clearer picture of the time difference between the two compounds but overall we'd anticipate race pace among the front runners to be reasonably closely balanced, and it's always under these circumstances that having the right strategy can really make a significant difference. Although there's quite a high degree of track evolution, and conditions in free practice aren't always representative of the race, the work done during the Friday and Saturday sessions will be instrumental in shaping each team's understanding of which strategies are both possible and advantageous on Sunday." Jean Alesi: "Abu Dhabi is not a track I have raced on myself, so it's hard to comment from a driver's perspective, but it certainly looks spectacular to watch and it's fantastic to see so much infrastructure invested in Formula One. The only negative impression I had of the circuit initially was that it seemed quite difficult to overtake on sometimes, but I think that this issue has been addressed now and it is also interesting these days to see how the drivers use strategy to gain track position. I'm sure that pit stops will be important this weekend in Abu Dhabi as well. This doesn't look like a race that will be particularly hard on tyres, but the circumstances are a little bit different from usual, with the race taking place late in the afternoon, so it's quite hard to predict what's going to happen. I've had some experience of racing in the twilight and the dark from Le Mans and it's really not easy, but I think it's probably easier in a Formula One car than in an endurance car, as Formula One cars don't have headlights. The headlights make it quite hard to judge perspectives - particularly if you're being overtaken - so it's better to just have lights on the circuit, like Singapore and Abu Dhabi." Traction is the key aspect to a strong performance at Yas Marina, as there are not so many high-speed corners. To help the drivers gain maximum traction, the engineers tend to set up the cars with quite a soft rear end, but this can lead to increased rear tyre wear. If the set-up is too stiff at the back the opposite problem can occur: excessive wheelspin, which also takes life out of the tyres. The track surface in Abu Dhabi consists of stone quarried in England and is generally quite smooth. As more rubber is laid down there is a high degree of track evolution over the course of the weekend and it's also common to find dust on the circuit during the early sessions, which is quickly swept away.